One popular subject is PRIDE - in country, people, religion and politics. 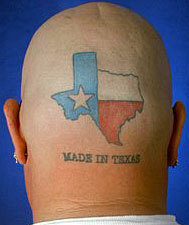 What’s wrong with showing a little “tattoo pride” in your people or home? Whether it is the land (or city or state) of your birth, your adopted homeland, your ethnicity or your heritage, there is no denying that wherever you and/or your family comes from is a HUGE part of what makes YOU what and who you are. Tell the Story with Ink! Are you of African descent? Maybe you could research some art from the region of your lineage, or something to represent African American culture? Mexican ancestry? 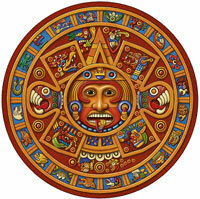 How about some ancient Mayan art or some mariachi symbolism? All of us have a lot to be proud of, with a rich history (or collection of histories?). Even those of us with mixed ancestry can relate to our roots and show that to the world. Mixed Swedish and Greek ancestry? Why not feature Thor in an epic battle with Hercules? Crossed flags of both countries? Runic and Ancient Greek scripts? Love being an American? Whether a native, a descendant of immigrants or a newly minted citizen, there is a ton of material there too..the melting pot has many, many ingredients! Do you have a Family Crest or Coat of Arms? Any other symbology related to your family name or wider relations? Are you even distantly related to any famous historical figure? Does your country of origin have a coat of arms? Lots of great graphic material here that folks just don't consider...and it tells a lot about you and where you come from! 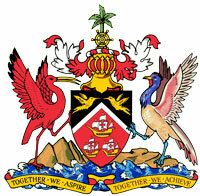 Try "googling" the coat of arms of your homeland...even your city or state may have one.